Kungliga Borgen (Royal Castle) sits on Drottningberget at the scenic Gärdet in Stockholm. It was created in 1818 by Colonel and architect Fredrik Blom, commissioned by King Karl XIV Johan. From the castle, the king could monitor military exercises on Ladugårdsgärdet. On the castle, they gave balls and dinners for distinguished guests. When it was the King's name day, they raised tents on the flat roofs and had drinks there. Jessica and Eric will have their wedding reception at Kungliga Borgen. We therefore took the opportunity to make a their engagement photography here, while we discussed their big day. The castle consists of two rooms, "bail" with 80 seats and the little wing "Prince" where the party can take coffee or aperitif. In the courtyard, you can mingle with nearly 600 people and then there is additional space for a marquee for 200 people and outdoor bars and barbecues. 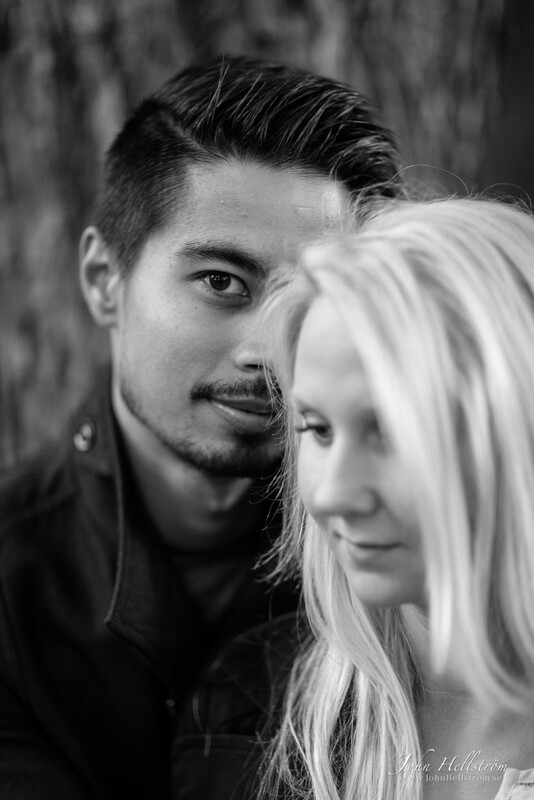 John Hellstrom is a top portrait and wedding photographer from Stockholm, Sweden. Contact John if you are interested in photography and art for your home.